All of us are aware that Shanka Karna was reborn as Prahalada in the first avatar and then subsequently as Balika Raja, Vyasa Raja (1447-1539) and finally Raghavendra Swamy (1595-1671). These are the avatars that we generally ascribe to Rayaru and all texts relating to Raghavendra Swamy and even the website of the Sri Raghavendra Swamy Mantralaya Matha has these details. However, when we look at other texts and the writings of some devotees and scholars we get additional information about Rayaru. Since the writers of these books and even compositions were close devotees of Rayaru and were known for their scholastic bent of mind and their deep and abiding devotion to Rayaru, it is difficult to doubt their words. One such outstanding book and one which is not as well known as other works on Rayaru is Raghavendra Tantra by Krishna Avadoottaru (1836-1909). This is an extraordinary work of devotion and faith and it is believed to have been inspired by none other than Raghavendra Swamy himself. 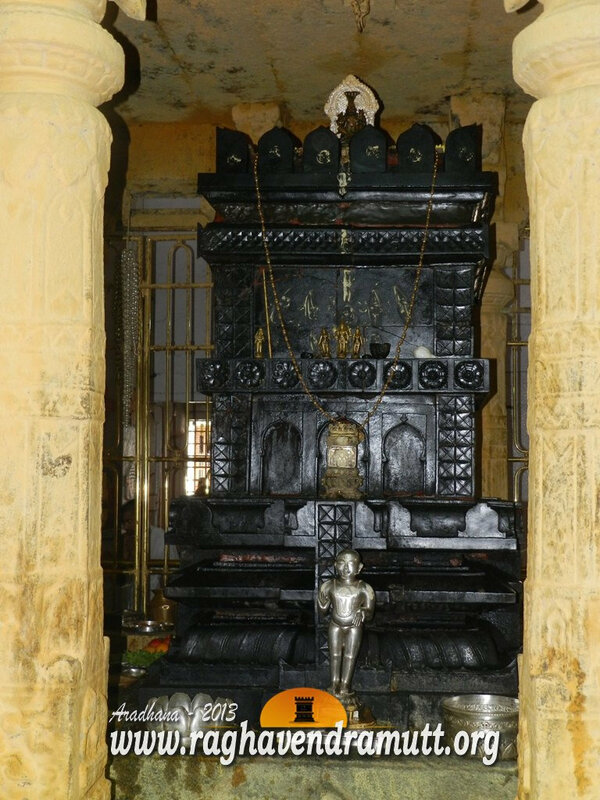 One of the best interpretations of this book and its contents is by Raghavendra Patwari in his Patwari.org which is a beautiful blog that this former Professor of Gulbarga University has dedicated to Raghavendra Swamy. Coming back to the Raghavendra Tantra, Krishna Avadootaru who is regarded as one of the three main or important devotees of Rayaru-the other two being Appanacharya of Bichale and Appa of Ibharamapura- has clearly mentioned that Vibheeshana, the brother of Ravana and an unparalleled devotee of Rama, was an avatar of Prahalada. The avatar of Vibheeshana being related to Rayaru is beautifully brought out in the Tantra. Some of the Dasas too have mentioned this aspect. But perhaps the Tantra is the first where it is mentioned. We cannot ignore this “Pramana” as the Raghavendra Tantra was inspired by Rayaru himself and he himself asked Krishna Avadootaru to bring out the facts of his life, the correct way to worship him others issues to the people. So, if we accept the Raghavendra Tantra as “Pramana”, then Prahalada is reborn in the Treta Yuga as Vibheeshana. During the time Shanka Karna took avatar as Prahalada, he had two devoted dhoothas or associates (it would be insulting to call them servants) called Samhata and Prahata. During the time of Vibheeshana, these two associates are reborn as Sandhika and Prasandhika. They served Vibheeshana devotedly and are with him everywhere he goes. They serve Vibheeshana in Lanka. During their later avatars, they are reborn as Appanacharya and Krishna Avadootaru. The Raghavendra Tantra is an extraordinary work and it has several innovative details which are not found anywhere else. This book is available and read it to know little known details of our beloved Rayaru.